Mobility has become integral to modern business. Small-business owners appreciate the flexibility, freedom and control it gives them, especially when off site. 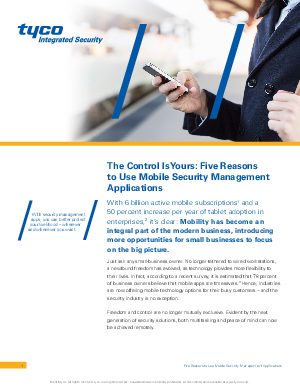 This white paper highlights five reasons to adopt the next generation of mobile security applications, and it outlines the capabilities that enable you to maximize your time and resources.